Brazilian President Michel Temer has yielded to global pressure from environmentalists, artists and a number of NGOs and revoked Tuesday a controversial decree that would have opened up a vast national reserve in the country’s Amazon, larger than the size of Switzerland, to mining. 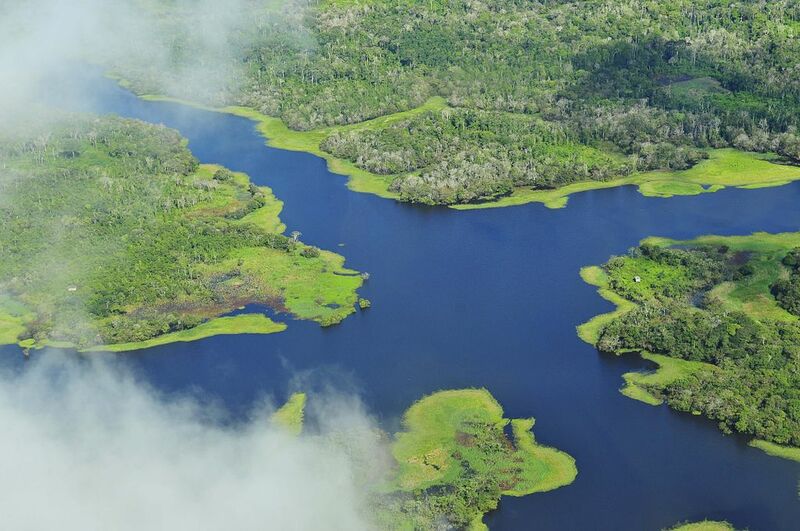 The order, published in the government’s gazette (in Portuguese), also keeps the protected status of the National Reserve of Copper and Associates (Renca), which straddles the northern states of Amapa and Pará. The area, covering 46,000 sq. km (17,800 sq. miles), is thought to be rich in gold, iron ore, copper and other minerals. According to Temer, the exploitation of those riches could have helped Brazil speed up its recovery from its worst recession on record. Renca — an acronym for the National Reserve of Copper and Associates — spans the states of Amapá and Pará up to the remote national border with French Guiana and Suriname. Critics of Temer's decree, signed in August, included international environmental groups, the country’s Catholic Church, artists, and even supermodel Gisele Bundchen. Hey all believed the area would have suffered badly from increased mining activity. Following mounting criticism, the government amended the ruling in order to bar mining in conservation or indigenous areas within the vast area, which is home to the indigenous Aparai, Wayana and Wajapi tribes and vast swaths of untouched forest. A court later suspended the measure altogether, saying any change to the reserve's status had to be considered by the Brazilian congress. Finally Temer opted for revoking the contentious decree, a measure hailed as opponents as a victory. "The cancellation of the degree shows that, no matter how bad it is, no governing politician is absolutely immune to public pressure," Marcio Astrini, public policy coordinator for Greenpeace Brazil, said in a statement (in Portuguese). "It is a victory of society over those who want to destroy and sell our forest," he noted. There are already 14 illegal mines and eight landing strips for bush-pilots in Renca, according to Greenpeace, which says the problem would have grown worse if Temer had allowed industrial-scale mineral extraction by domestic and international companies. The Mines and Energy Ministry said in a statement it would revisit the issue in the future in a wider debate on the topic. "Brazil needs to grow and create jobs, attract mining investment and even tap the economic potential of the region," minister Fernando Coelho Filho said.